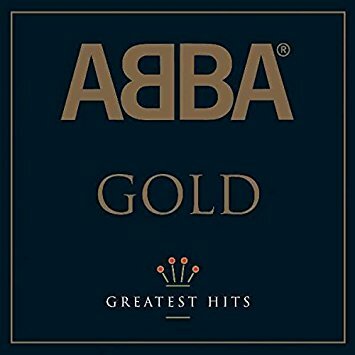 Dancing Queen was ABBA's only US number one hit. Obviously they were a much bigger deal in Europe. And they may be more popular today than they were in the 70s. The beginnings of ABBA go back to the mid-60s Stockholm music scene which was heavily influenced by The Beatles. At age 18, Benny Andersson joined The Hep Stars who were known as The Swedish Beatles. He played keyboards and wrote some of their hits. Bjorn Ulvaeus led the folk group The Hootenanny Singers. So they knew each other from touring similar circuits and they wrote a song together that was a hit for The Hep Stars. Hootenanny Singers manager Stig Andersson encouraged them to work together. The way they became ABBA is Andersson met Anni-Frid Lyngstad at the Eurovision Song Contest and they married. Agnetha Faltskog had success as a solo artist. But she met Ulvaeus during the filming of a 1969 TV special and they married in 1971. At first the plan was for Andersson and Ulvaeus to record as Bjorn & Benny and the girls would record as solo artists. They did this for a few years. 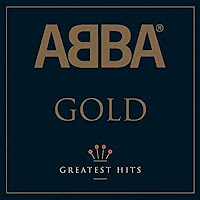 The single People Need Love was by Bjorn & Benny, Agnetha & Anni-Frid. When it was decided to turn it into a permanent group, Stig Andersson wanted a simple name and ABBA was chosen. ABBA had success in Sweden with songs like Ring Ring. The Eurovision Song Contest helped them with the rest of Europe. Their first US hit was Waterloo in 1974 which reached #6 on the Billboard Hot 100. But they didn't break through in the US until the 1976 album Arrival and the single Dancing Queen. It topped the charts worldwide and it was their only #1 hit in the US. Dancing Queen was more disco influenced than previous songs especially by the George McCrae classic Rock Your Baby. ABBA continued to have success until the two married couples divorced. It was over in 1983. You can get all their hits on this budget comp. Both girls launched solo careers with modest success. Andersson and Ulvaeus had success with the musical Chess written with Tim Rice. They have remained behind the scenes figures though they could make a fortune reuniting ABBA. But the spirit of ABBA is still alive through the musical Mamma Mia! and other projects especially Priscilla, Queen if the Desert. Here's the video for Dancing Queen by ABBA. I and my whole family loved ABBA. We would listen to their music many time on the big Mahogany stereo in our living room. I loved their song SOS. Still and big favorite of mine. Thanks so much Frank. Yours David Shepard.